Christmas is close and today, after I did a little bit of study on my study day (come on … cut me some slack!!!) 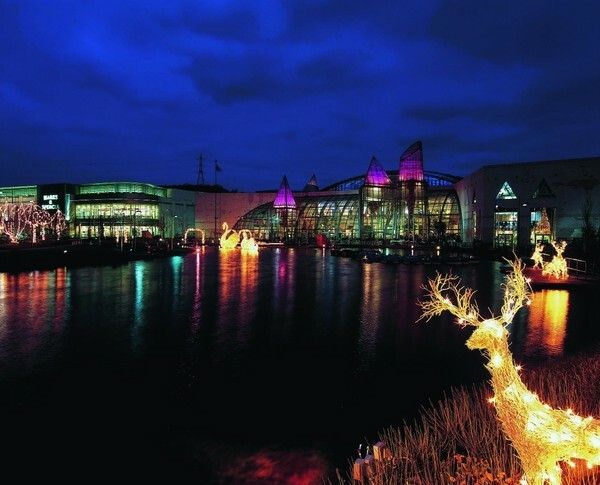 we went to the dreaded Bluewater. This has become an annual custom of the Ryans. Gone are the days when Sarah and I bought the presents from our children to each other and to us. Now we seem to have developed our little tradition of going to Bluewater, giving each child and equal amount of money after discussing possible presents for each other and letting them go. Our eldest, Tom, goes off on his own and sorts things and today I wandered with Beth first, we then met for coffee so that Beth and Joe can swap parents and but the last one without us knowing what it is. We then go somewhere fro dinner and come home. It’s very civilised and gives the children some early budgeting experience. It’s also quite fun to see them making decisions such as ‘If I but this for x then I only have this much money left for y’ … and so on. As I said it’s quite a bit of fun. That tradition has developed and happened today which must mean that Chrstmas is very close. Tomorrow is Christmas Eve when we follow another long held family tradition which is an early evening party with cake to sing Happy Birthday to Jesus. We shall be doing this tomorrow with good friends and family members. It started when our children were very little and we have tried to stop it a few times – but our children will not let us! It’s funny how traditions can get a hold of us and become difficult to let go! Not that, in these two cases, I am wanting to! This entry was posted in christmas, family by robryan65. Bookmark the permalink.